If you were to describe the vegetable trend for 2013 in one word it would be KALE! Our fabulous green fibrous friend literally made her way across almost every plate in America. We saw recipes and dishes featuring the “green goddess” in everything from sautés, chips and smoothies to stir-fry, slaw and even cookies. 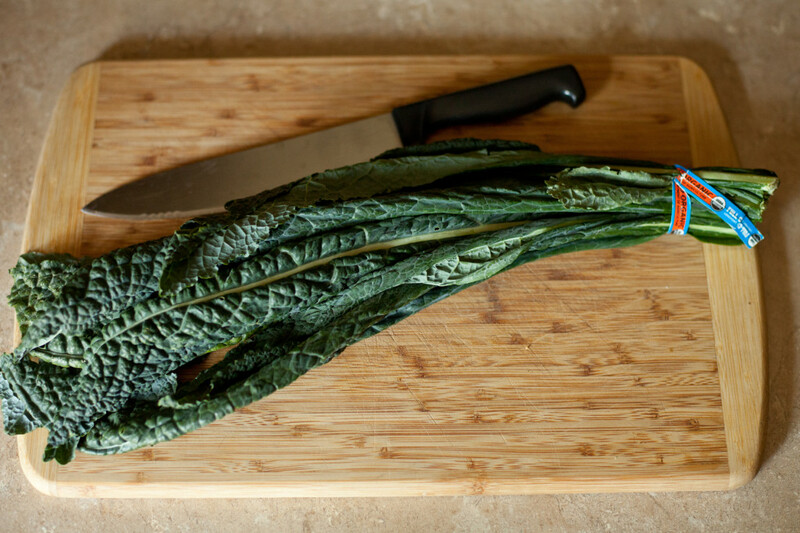 In one successful swoop, the “KALE YEAH” movement defined how we saw superfoods in 2013. Now for me, I’d been hijacking kale from the salad bar decor long before it become a celebrity, but even with my love affair for the healthy leafy, I was even tired of seeing it everywhere! Well good news folks, there’s a new sheriff in town! Just as kale defined our vegetable identity for 2013, the humble cauliflower is here to take her crown and badge for 2014. 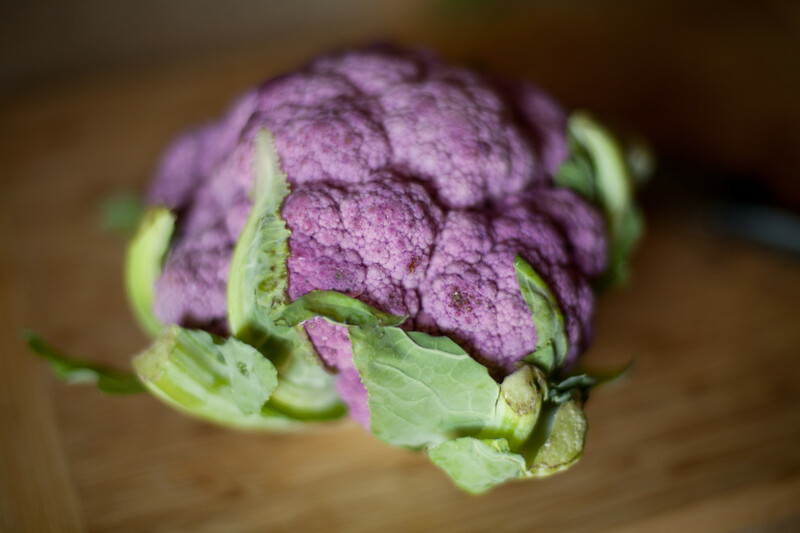 Meet Brassica oleracea, also known as chouxfleurs in French. She comes in sassy white, passionate purple or quirky chartreuse. Most of us only know the pearly white version and for that most of us have bad memories of the over cooked mushy white florets from our childhood. For many years cauliflower has taken a back seat to it’s green cousin the broccoli and we’ve quietly hidden her on the side of pathetic crudite displays and hospital meal trays for too long. Now, it’s her turn to shine……….and shine she shall!!! When Hippocrates said “let food by thy medicine, and medicine be thy food.” there’s little doubt in my mind that he was referring to foods drawn from the brassica family such as kale and cauliflower. Ounce for ounce, brassicas contain more healthy properties than any other branch of food. We’re not just talking your basic building blocks of vitamins and minerals, though brassicas are full of these, but rather foods also rich in phytochemicals that act as cancer fighting and anti-inflammatories. 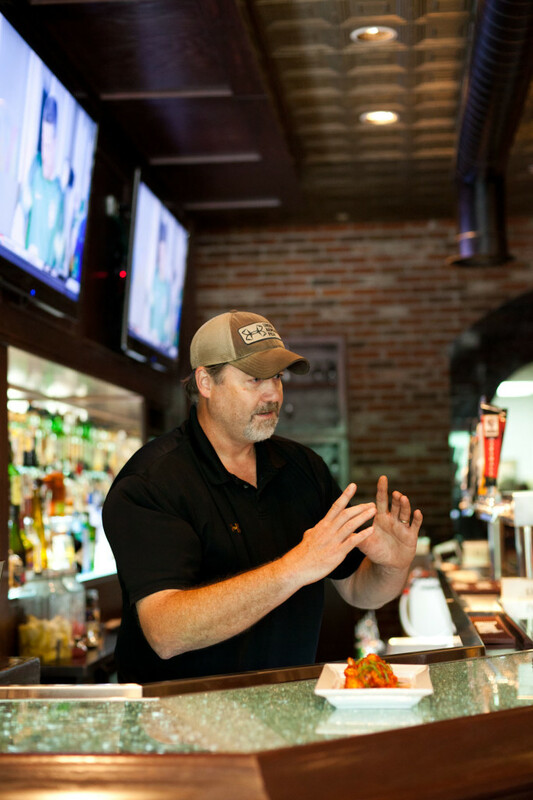 When it comes to catching creative trends and harnessing great concepts, we can always count on Tulsa chefs to deliver the goods. 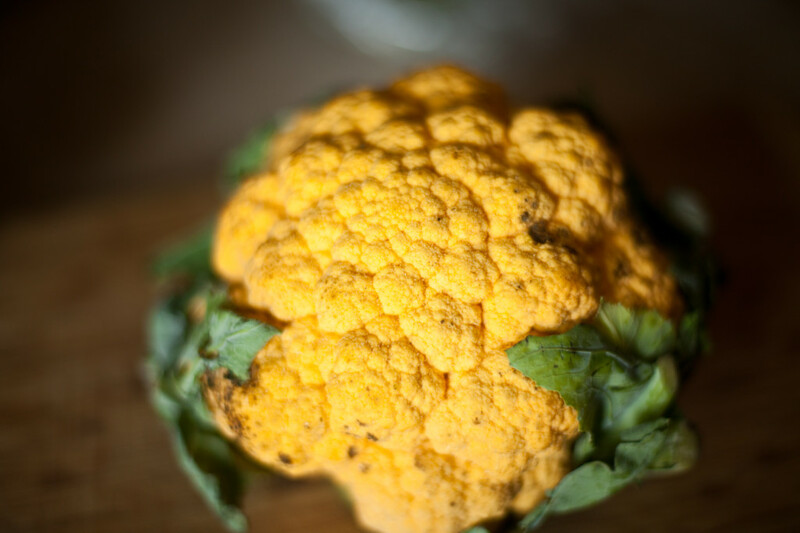 If you’re ready to get your cauliflower groove on locally, take a look at this fantastic recipe by one of Tulsa’s super-chefs. We’ll be tracking unique cauliflower recipes in the Tulsa food scene over the next few months and to start we’ll begin with SMOKE’s Chef Erik Reynolds. Chef Erik has been delivering quality unique wholesome recipes to Tulsan’s tummies since 2010. I had this recipe as an appetizer one day while entertaining guests from out of town and absolutely fell in LOVE! It’s the perfect ode to cauliflower and so flavorful and addictive. 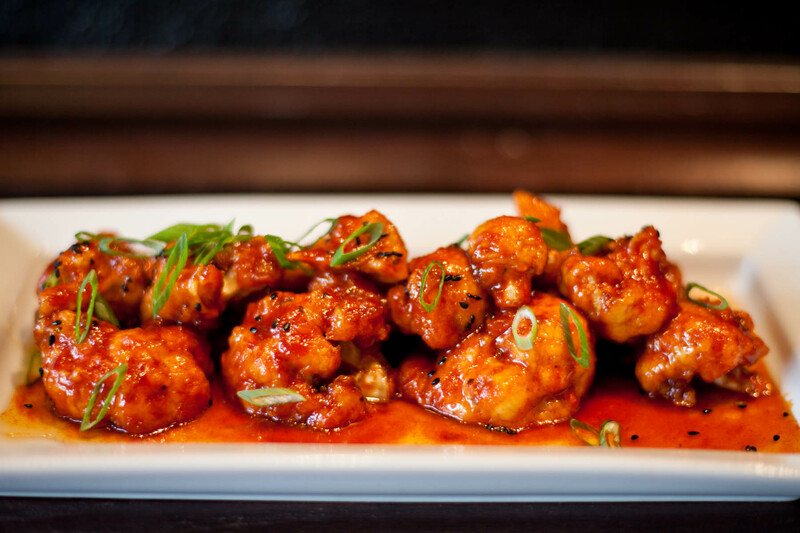 Chef EriK was kind enough to make this Korean Fried Cauliflower again for me and share his superlative recipe. It fits my idea of total culinary adventure food while still delivering the familiar flavors of sweet, sour, salty and umami all in one. It’s a great way to experience cauliflower in a new light and an even better way to be introduced to Korean flavor profiles just in case that’s not already part of your repertoire. Thanks to Chef Erik for sharing his recipe. I hope you’ll try this at home and discover just how versatile and special cauliflower really can be. Write your life recipe! ** You may need to make a trip to Nam Hai or other Asian grocery store to get the gochujang (Korean Chili Paste). It’s not your typical pantry find. For the sauce, place all ingredients into a blender and blend until smooth. For the batter, mix flour and cornstarch in a medium mixing bowl, add water and whisk until smooth. Coat each floret in batter, and remove any excess. Carefully drop each floret into 350 degree oil and fry until golden brown. Drain onto paper towels and season with salt and pepper. In a mixing bowl toss florets in sauce and garnish with black and white sesame seeds, scallions and drizzle with honey. Hi, I'm Tiffany Poe, I've been sharing my love for food, cooking and creativity for more than a decade. My life is food and my passion is sharing food with others. If I'm not in my own busy kitchen working on recipes for all my projects, I'm using food or hospitality to inspire people from all walks of life. I see everyday as one big gastronomic adventure to be savored and shared! Write your life recipe. Chef Tiffany Poe is a Certified Executive Chef and graduate of The Culinary Institute of America in Hyde Park New York. She enjoys blending her experiences from the hospitality, education and corporate world into the style of teaching, styling and coaching she now share with her clients. She is the owner of Tiffany Poe Culinary Services (a consulting, food styling and corporate coaching company). Her clients have included national food media companies, education institutions and corporate hospitality and industrial teams. Her and her husband Steven have been married for fourteen years and have four small children. They are the owner/innkeepers at The Grandview Inn, a historic bed and breakfast near The Tall-Grass Prairie in Osage County Oklahoma. She is also partner of Plum Delicious Mobile Events and the author of Gastronomy Mommy, a blog where she shares her perspectives on food, life and the gastronomic adventures as a chef foodpreneur and mommy. 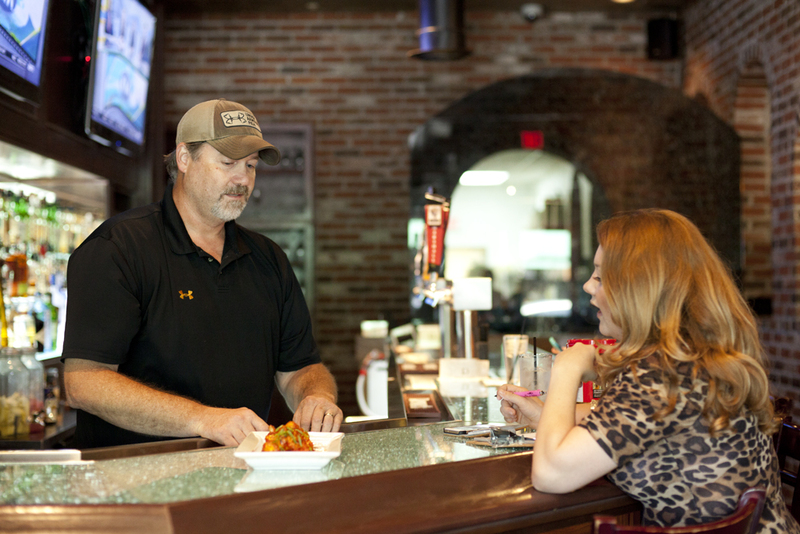 She'll be bringing you interesting perspectives from the Tulsa Food scene and beyond.